AWARUA RADIO or ZLB is a Post Office coast radio station and is eight miles from Bluff and ten from Invercargill. Half a mile from the road, Awarua was built on a swamp. This swamp is slowly disappearing due to the recent extensive draining operations carried out. It is the main ships shortwave receiving station in New Zealand, end is Internationally known. ZLB was established in 1913 by a German Company, employing German technicians and using German equipment. Today there is nothing left of the old equipment, except some parts of the 400 foot tower, which was toppled in 1936 as it was unsafe. Today there are 150 foot self-supporting towers for the main transmitter aerials. (Three of these) The towers are now being painted orange and silver to comply with International regulations. The rest of the transmitting aerials and all the receiving aerials are held by 70 foot wooden poles. A fulltime rigger is employed to maintain the aerials, poles and towers. The station is managed by a staff of operators and technicians, the latter having to maintain the transmitters and receivers and the former receiving and transmitting messages, weather forecasts etc. Fixed watches are kept, along with schedules, with outlying stations such as Milford Sound, Haast, and lighthouses around the coast (Dog Island, Puysegur Point, Centre Island) Radio, of course, is the only means of communication with the coast for the bracketed stations. As well as radio gear, there is a direct Creed circuit to Wel1ington over which messages from each end can be passed simultaneously. A direct line to Wellington (Morse line) is ready for use if the Creed is out of order, or there is not sufficient traffic to warrant the opening of the Creed. This direct Morse line is connected with ZLW (Wellington Radio) which is the area transmitting station. A Morse line is also connected with Invercargill. The receiving station is about half a mile from the transmitting station, with all power cables etc., to the latter, under-ground. Remote controlled transmitters from the receiving station can be used locally at the transmitting station for testing purposes. The aerials for the receivers are connected by twin feeder lines. Sometimes, these feeders, which are about 10 feet from the ground, are run over distances, somewhere around the half mile mark. Receivers used at the present are all standard commercial communication sets and rack mounted for easy servicing. Fifteen new receivers will be arriving soon, which will probably mean a complete reorganization of the receiving station. Sets in use at Awarua at present are as follows: Radio (1936) Ltd, on small ships (small ships being 2054, 22O6, 2162 kcs. etc., for use of coastal fishing boats and lighthouses) National HRO, 9 valve on 24 meters. (Shipping) Collier & Beale, a 9 valve on 36 meters, also used for shipping. National HRO, 9 valve on McQuarrie Island service. National HRO 9 valve on London Press Service. Other HRO’s and C & B receivers, a Marconi CSR5 and an RCA 1188 are used as spares and for other services. As most DXers will know, the National HRO uses plug in coils, which cover a certain range e.g. 1.5 to 4.5 megs. These are in a unit about 10 inches long which plug into the front of the set, thus making the band changing very simple. All the aerials are standard e.g., Two verticals, a couple of rhombics (which can be directed either North or South), & a few Inverted L’s etc. The HRO’s and C&B’s are run off batteries if the power fails, thus enabling the watch to be maintained continuously. A continuous watch is kept on 500 kilocycles, the international distress frequency. This watch is kept on a C& B 6 valve receiver. Should any ship want a check on his position, a bearing can be taken on the direction finding receiver. This receiver was made by the Standard Telephone and Cables Ltd. (London) A silent period for three minutes every half hour, thru ought 24 hours is kept. From 15 to 18 minutes and 45 to 48 minutes past the hour, all transmitters on 500 kilocycles must remain silent. If a ship is in difficulty, therefore, it’s distress signals have more chance of being heard during that time. The transmitters are run off 230 volts and there are two diesel generators for use during power cuts. Transmitters in use at present are: C&B 1kw on 2182 & 2206 kcs for use on small ships. C & B 1kw. 500 & 505 kcs. (Medium Frequency). C & B 100 watts, 2800 & 5800 kcs. (Milford Sound etc.) RCA 350 watts, 6830 kcs. (McQuarrie Islands) RCA 2500w 8554 & 12831 kcs. (Main shipping) There are also spares for the most important of the above services. A new four channel Philips transmitter (5KW) has recently been installed. Four new aerials will now have to be erected. The technicians, as well as servicing the equipment at Awarua, also have other work. There are the VHF (Very High Frequency) base stations for the Fire Brigade and the Taxis at the P.O. Trips have also to made to Center Island, Dog Island, Puysegur Point, Milford Sound, Te Anau, Halfmoon Bay & Glenorchy. The servicing of State Forest Service equipment at Tuatapere and the Conical Hills Area. 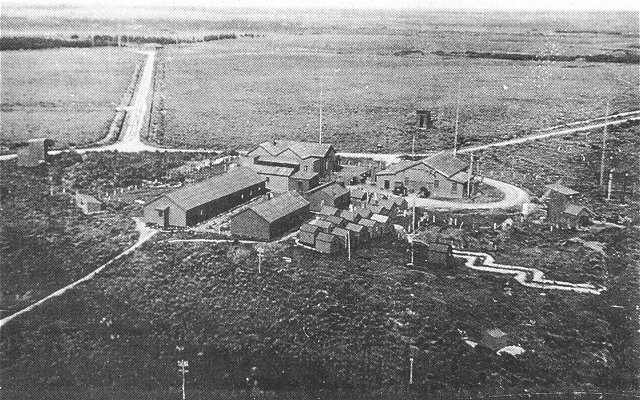 Awarua is reputed to be one of the best transmitting and receiving stations in the world, and it has been known to receive distress signals from ships that stations nearer to the ship have not heard. There are still a handful of books available. Just need to contact the Awarua Museum. The name of Lennon is not yet included on staff list in book. Details of Jill Lennon’s son starting work in 1976 would be most appreciated. I wrote when this article was first written, requesting where I could buy a copy of this book. My son started his first employment at Awarua radio around 1976. Do hope I can still buy the book. Hi Jill, There is an updated book available, see http://www.awaruamuseum.co.nz/news/44-awarua-book-launch.html Regards, Paul PS: any earlier publications may be available thru National Library. A very well written article, Brian.